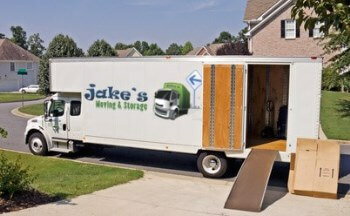 Jake’s Moving and Storage offers comprehensive moving and storage solutions for your residential and commercial needs. Moving from one place to another isn’t one of the toughest tasks, but it will surely feel that way if you’ve not chosen the right packers and movers. 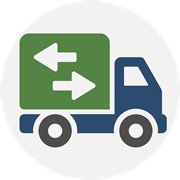 If you are planning to move in Rockville, MD and surrounding areas to Maryland, Washington D.C.,or Virginia and don’t know where to start, Moving Company Rockville, MD will make things easier for you. Our pool of skilled moving professionals will take care of all of your moving needs – big or small. We are a professional moving service based in Rockville, MD and have been in the moving business for over a decade. Our mission is to make your move as easy as pie. To make this happen, we have a team of professionals who are skilled, licensed, bonded, and insured in their respective fields. Our moving vehicles are equipped with portable moving containers, as well as all the necessary tools and equipment to carry out the job within a given time-frame. If you need help with your upcoming Rockville, MD move, relax. Moving Company Rockville MD makes moving in Rockville, MD simple and hassle-free. If you’re looking for help moving in Rockville, we’re the company to call. Even if it’s a last-minute move or an in-house move, we can take on the job. Call us now for more information regarding affordable, efficient, honest, and trustworthy Rockville moving services. Our team is available around the clock to help you. Whether you are just a few blocks away from your old residence or a thousand miles apart, Moving Company Rockville MD is the way to go. 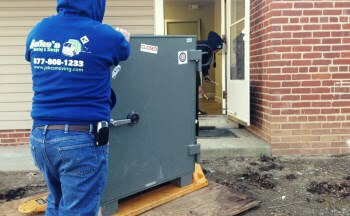 Next time you have to move, call us – a leading name among the moving companies in Rockville, MD. Even if you need help moving an especially large item within the same house, from one floor to another, or from one room to another, contact us for internal, in-house moves in Rockville, MD. We offer the best service for the best prices to our clients. You are not in the mercy of unscrupulous elements when moving locally or long-distance with the best moving company in Rockville. Whether you’re moving your office or home a few blocks away, from one place in Rockville to another, or to a completely different state, contact Moving Comapny Rockville MD for superior Rockville, MD moving service. For your commercial moves and office relocation, you will get an affordable, fast, and easy moving service that you deserve with Moving Company in Rockville MD. 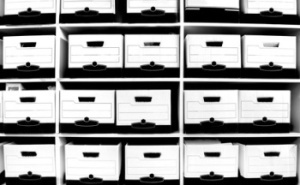 We have containers to store your equipment, records, office furniture, and files. These containers are water-proof, weather-proof, and fit for retaining the state of your belongings even at extreme conditions. 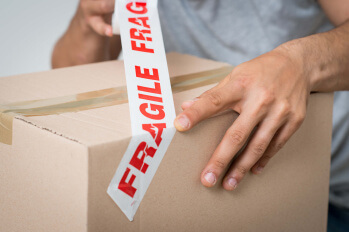 You will never have to fret about losing your assets because our moving boxes are strong and sturdy both inside and out. When you are ready to move to your new university/college dorm, simply call our office and our movers at Moving Company Rockville MD will arrive at your doorstep to pack and transport the items in your bedroom to your new dorm room. 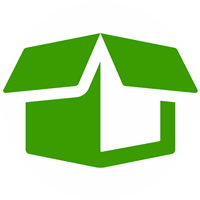 We also provide dorm to dorm moves and climate controlled storage facilities when needed. Our movers are fast and friendly and provide flat rate pricing. We also offer last minute moves in Rockville, MD upon request. Our movers at moving Company Rockville MD provide local and long distance services so don’t fret if your new University is on the west coast. We’ll get your stuff there before classes start! Moving Company Rockville MD is among the few moving companies in Rockville, MD to move antiques and other large items like spas, bathtubs, pianos, heavy equipment, and machinery. You will find that our website contains testimonials from our loyal clients who have overcome their heavy equipment moving issues with us. In essence, we offer honest, dependable, and affordable moving solutions with flat rate pricing so you don’t have to worry about hidden charges and unexpected bills like from other moving companies in Rockville, MD. Call our full service moving company and you will be provided with a quote over the phone or in person immediately. Our heavy equipment and machinery movers for factories and industrial moves are knowledgeable, fast, and friendly with clean driving and records as well. In addition, you will be delighted to learn that we can help you with packing and unpacking, and furniture assembly and disassembly whenever needed so that you can relax during the time saved. We can either pack all of your items for you, pack a few bulky ones, or provide you with the necessary packing materials to pack on your own. When it comes to big or small pieces of furniture, we can either disassemble them to prepare for your move, or re-assemble furniture at your new location.